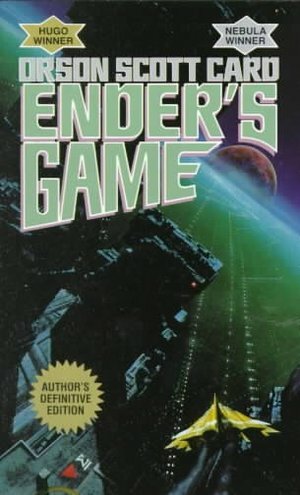 Ender’s Game by Orson Scott Card is my absolute favorite book. 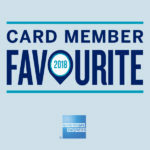 Whilst this may not be universal for all people who have read it, I thought it necessary that I state my rather biased view point going in to this review. 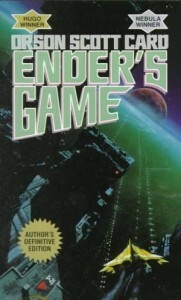 Ender’s Game is about a six year old boy named Ender who is chosen to attend Battle School in order to receive the training that he needs to become a commander in the military, as Earth is in dire need of a strategist capable of defeating an alien race that has almost wiped out the human race on two occasions before and will be returning for a third try all too soon. With a highly compelling story and equally as compelling characters I found the book almost impossible to put down, which is a phrase that is thrown about a lot when book reviews are written but in my experience, at least, impossible to put down explains this book perfectly. Whilst it won’t be for everyone this book was certainly for me and will most likely be for you too. Here’s hoping the movie that is releasing on the 31st of this month is just as good. The Last Thirteen is a new book-a-month series written by James Phelan. Sam has been having nightmares for as long as he can remember. Ever since his best friend died in a fire, flames have been a common theme. The day after a particularly disturbing nightmare, Sam is taken from school by men with guns and shoved into a helicopter with two other kids, named Alex and Eva. It is revealed to Sam that his terrible nightmares may come true. 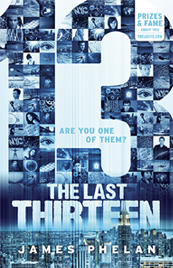 The Last Thirteen fits very well into its target audience of 10-16 year olds. It offers a well written but simple read that isn’t trying too hard to cram narrative complexity down your throat. It will appeal greatly to fans of Gabrielle Lord’s Conspiracy 365 series, as it offers the same narrative intrigue delievered in small, easy to digest, month by month packages. I’ll most likely be picking up the next release in the series. If you’re done with Conspiracy 365 and are looking for a series of a similar type then The Last Thirteen is absolutely the right book for you.